What is Social Media Monitoring and how does it differ from Social Media Listening? At least, that’s how it used to be. Thankfully, with so much of life’s conversation now happening online, we can tune into pretty much any conversation, whenever we want. And often we can discover things we didn’t even know existed. One of the best things about social media is its ability to introduce us to new discussions we had no idea about, from conversations to communities, content to customers. Consider your brand, your business. You want to be able to hear the conversations taking place about your business and services so that you can plan your marketing activities based on data and insight from your audience. You want to be able to keep an eye on what’s important to you, wherever it’s found. Even if you don’t want an online presence, your customers are talking about you there, as well as your services and your competitors. Social media monitoring is not social media research, nor is it social media listening. While all of these tasks use some form of tool to follow online conversations, when we refer to social media monitoring we mean passively checking who’s talking about you. This means looking at what is said across the internet - on social media channels as well as websites, on publisher sites, review sites, forums and so on - and discovering what people think of your brand and how much of an impact your marketing is having. Social media monitoring tools let you be a fly on the wall of homes and offices across the world, witnessing conversations in real time. You never always know what you’re going to find; but chances are you’ll find out something new about your brand and your audience. How is monitoring different to social media listening? Social media listening refers to actively hearing what is being said and taking action. Social media listening is a broader concept that takes social monitoring to the next level, monitoring is often the day-to-day checkpoint that comes before the in-depth analysis of listening and insights. Social media monitoring tools work by crawling sites continuously and indexing them. Millions of robots are constantly indexing the internet, looking for the terms you want to monitor, and sending back signals to the tool to alert them to mentions. The timeframe for the crawl depends on the platform; things like Twitter are crawled in real time, while Reddit or the comments section of your favourite publication might only be crawled daily. Once these sites are indexed, they can then be searched. That’s where you come in; writing specific queries, or search strings, that tells the tool what you want to find. This filtration process helps you to narrow down what data is retrieved and gives you real flexibility into the specificity or broadness of your results. To write these queries we use a programming language called boolean; It’s a type of search that allows users to combine keywords with operators or modifiers - words like AND, NOT or OR - to dig down into more relevant results. Let’s say you want to find a hotel in London; you’d search “hotel” AND “London”. Digging deeper, if you’re a sports retailer and you want to find the reaction to the latest release from Nike, you’d search “Nike” AND “Air Max 270” AND “trainer OR sneaker”. You can also employ boolean to search for specific authors, specific hashtags, specific channels etc. 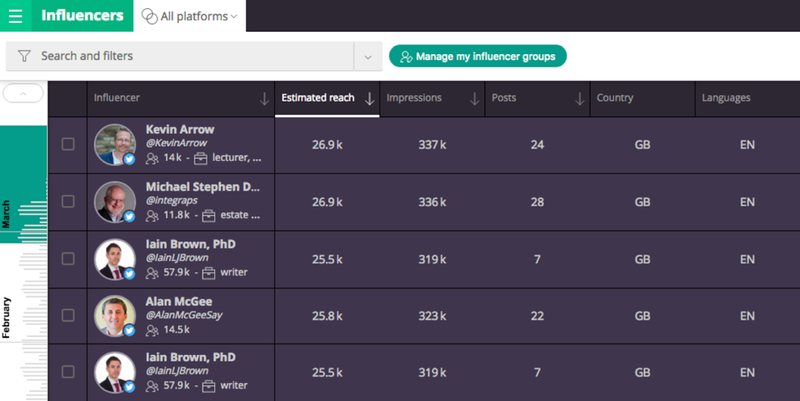 Once you’ve got your data, and you’ve performed your query, your social media tool will filter mentions by elements like specific time, influence, sentiment, language, region, source and more. There’s a lot of tools out there that can help you to achieve all of this. Some monitoring tools do just that: they just monitor. That’s ok for some people, but others might want the ability to respond directly from the platform, or to share the results across their whole team. While the social media monitoring market is crowded, with new tools appearing all the time, weigh up the pros and cons of each provider to give you a basic comparison barometer. First and foremost, you need to assess what you actually want to be able to track and monitor, from the specific channels you need access to all the way to the depth of analysis. Vanity metrics are no longer enough for social media strategies, so ensure you are clear on what your social KPIs are. Once you have your KPIs clear, you’ll be able to narrow your search and properly evaluate the various social media monitoring tools out there. Compare the features and consider how often you’d use each. Ask for a demo so you can see the interface, how well the tool consolidates data and makes it easy to understand. Ask how the pricing works - whether you’d pay per user, or per feature, or if it’s an all-in-one solution. One really important element that is often forgotten is the sources; there’s no point getting a tool that doesn’t get access to, say, Reddit when you know there’s a lot of activity in your industry on that channel. Likewise if China is a large market for you, you’ll need a social media monitoring tool that has solid access to the data from Weibo, YouKu, WeChat, and so on. Make sure you look into the API and see what sources the tools has access to. Another thing to consider is the added services a provider can offer. You might just want to have access to the data and head off on your own to slice and dice - and that’s great, there are plenty of providers out there who can give that to you. 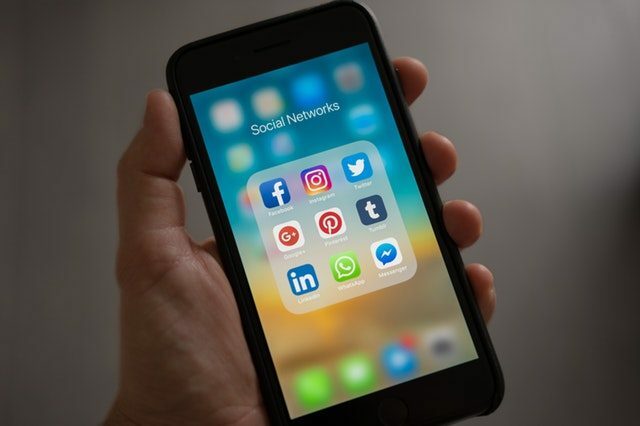 But a social media monitoring tool will just give you raw data, if there’s no support available to help you get the most from the tool, the data can be overwhelming. For best results, supplementing your data source with social media listening or a social media research expert or third party with a dedicated social insights team will help interpret the data and perform in-depth analysis on your behalf. This can help you to create actionable insights and deliver ROI. You could get a lot of this monitoring by using the many free tools out there, or from in-built analytics in Twitter, Facebook or Google. Investing in a social media listening platform will help you, not only monitor this data, but understand and interpret it in a way that creates actionable insights that drive value for your business. Our interface puts usability and ease of access at its core, meaning not only you can access the information you need swiftly, it’s also straightforward to interpret. You can tailor your social data display to make your reporting easier, and set up automatic alerts to help you stay on top of any emerging developments. Even if you don’t want to be online as a business, your customers are forcing your hand. If you don’t get involved, you won’t be able to keep up with your customers or your competition. Social media listening helps you to better understand your audience, find those brand advocates and influencers who are talking about you, and identify issues and opportunities. Not only that, it can help you to gain insight into what your customers are talking about in real time, which can help you create content that resonates with them, driving sales and business growth.